In a segment long dominated by the Chevy Tahoe and the GMC Yukon, the 2017 Nissan Armada arrives to take them both head on. With a huge interior and plenty of horsepower under the hood along with a very unique style, it is bold challenger, yet does it truly measure up? 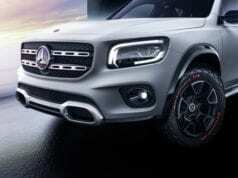 Yes and it might just surprise many large SUV buyers. Fresh off a one-year hiatus, the 2017 Armada is back with new looks, improved V8 and loads of safety and security tech. It continues Nissan’s push to be more than a low-budget volume seller and instead be a major player in the U.S. market. 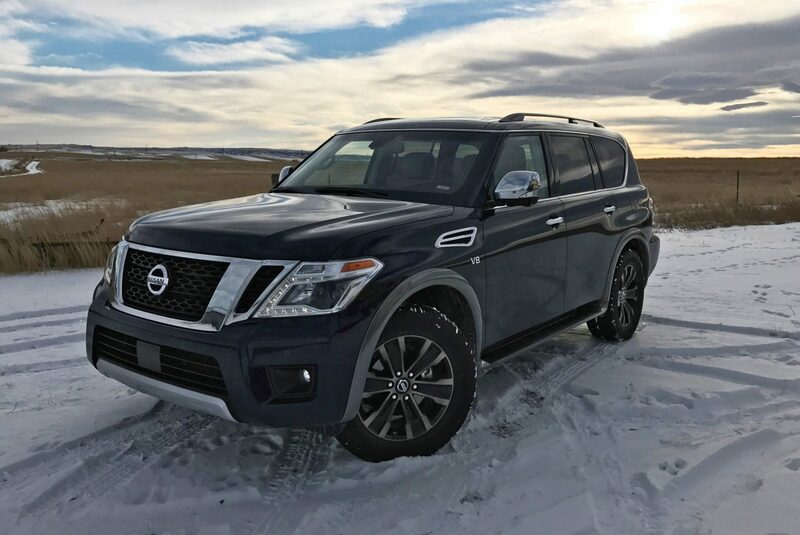 With the previous generation showing its age with boxy lines and non-descript styling cues, the all-new 2017 Nissan Armada borrows cues from the Infiniti QX80 to freshen its styling. It is now much more robust looking with the large front-end accented by chrome accents and a large skid plate highlighting the styling. On the sides, Nissan designers highlighted the large windows with chrome trim opting not to split the second and third row windows. Instead, they tied these windows together to give it a blended look they carried down the side of the vehicle through keeping styling lines to a minimum. At the rear, the large door provides easy access to the rear cargo space and the side styling is continued. Regrettably the rear bumper’s protrusion conflicts with the styling by elongating the already large vehicle. 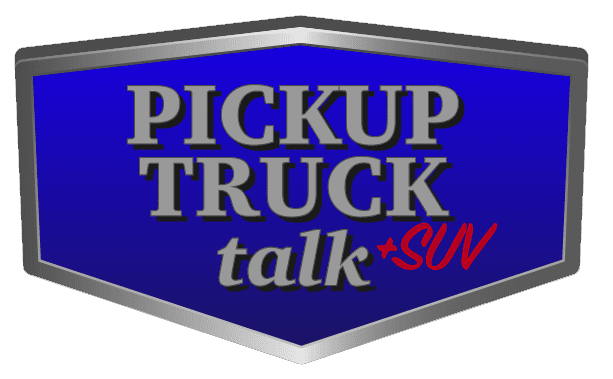 However, this design is likely a nod to upcoming changes in bumper design rules being considered by the federal government. Inside the cabin, the spacious feels voluminous with more room than the exterior might suggest. The center stack reminds me of an airplane with its various knobs and buttons plus a commanding view from the driver’s seat. Middle and even third row cargo and seating room is more than adequate and this vehicle rivals Tahoe and Yukon XL models for space. 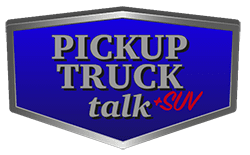 The large SUV segment is dominated by powertrains with vast amounts of horsepower and torque with the latter being the more important of two. Moving 5,917 lbs of vehicle, as is the case in our 4wd test model, is no easy task and the revised 5.6L V8 “Endurance” engine is up to the task. Now mated to a 7-speed transmission and with direct injection and variable value lift, the engine produces 394 lb-ft of torque at 4,000 rpm to get the SUV rolling. This large amount of torque is also important for towing since getting the load moving is one of the critical moments during this operation. The frame and engine combine to give the 2017 Nissan Armada has a maximum tow rating at 8,500 pounds which is more than ample for the segment and is similar to a V6 powered light-duty truck. 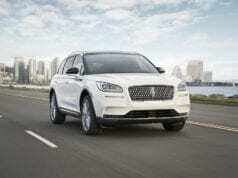 While the engine is really improved, the 7-speed automatic also really improves the SUV. Nissan switched out the 5-speed for the new 7-speed and gave this new transmission an adaptive shift control and downshift rev matching. This feature along with automatic transmission fluid warmer and better idling controls allows the transmission to be smoother off the line. Whereas other competitors can be a bit jerky or touchy off the line, the Armada drives more true to other smaller SUVs. The increased power does have the downside of hurting fuel economy. Our test model was rated at 18 MPG Highway and 13 MPG City with a combined of 15 MPG. It isn’t terrible, but you do pay a price for room and power. 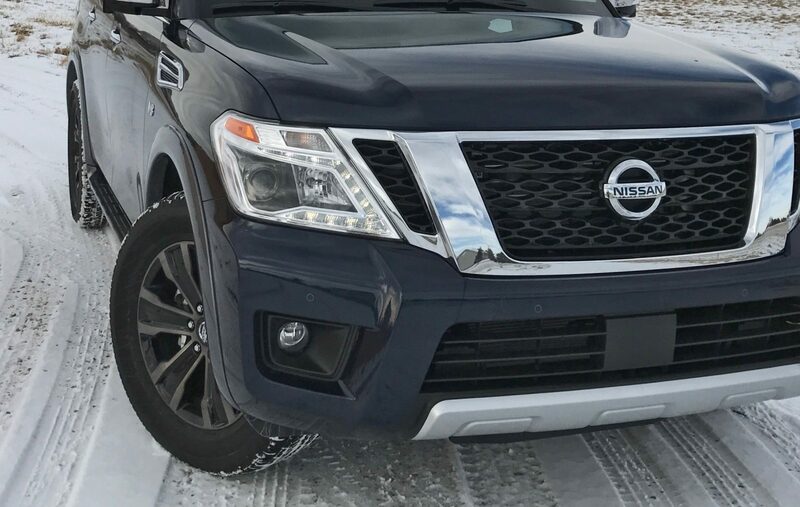 While it is large and has a very powerful V8, the 2017 Nissan Armada downplays both attributes on the road. 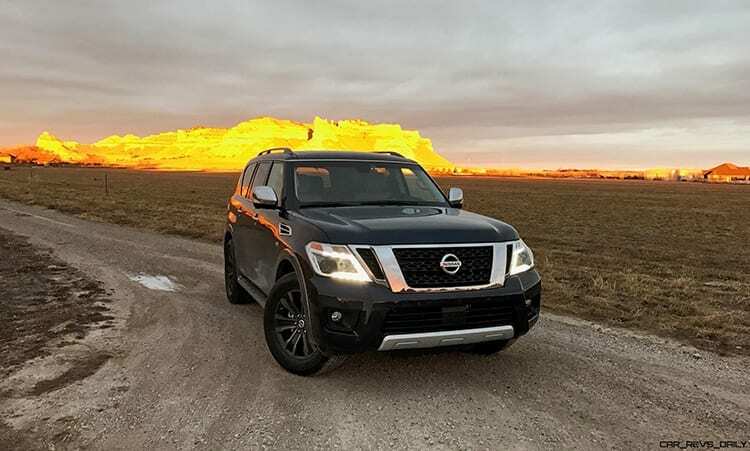 Nissan engineers were able to get the large SUV to drive more like a smaller one and while still not nimble, it is much less tiring to navigate. Helping achieve this is Nissan’s use of an independent double-wishbone front and rear suspension to transfer load forces around the vehicle and help it from pushing in the corners. This means whereas older SUVs would feel like they are sliding up and out in the corners or when quickly shifting lanes, the Armada behaves much more like a smaller SUV with those forces mitigated. Off road, the Armada handles the road much better than one would imagine thanks to twin-tube shock absorbers at each wheel and even our 20” tires (18” standard on base trims) absorbed road vibrations like pot holes and washboards surprisingly well. On the highway, the Armada cruises along without much constrain from the engine and a smooth ride similar to a luxury SUV. It is a perfect family hauler in that regard with the ability to set cruise and forget it. Finally, the various safety technology Nissan has incorporated into this model really brings it up to spec with its other models. Items like blind-spot monitoring, forward collision alert, adaptive cruise control, etc… make it a much stronger competitor to the GM SUVs. At the end of the day, there is a lot to like with the 2017 Nissan Armada. 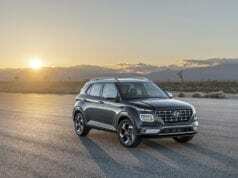 Its new styling, new engine and new safety features makes it a top contender in a tough segment. Our test model came in at $61,585 in the Platinum package which is a few thousand less than the top tier of a Chevy Tahoe. 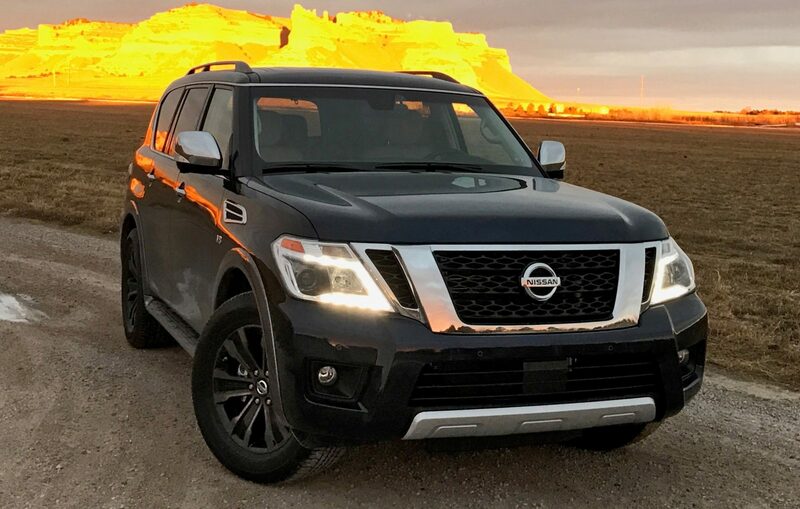 If you are willing to break away from tradition of GM full-size SUVs, the Nissan Armada is a wise choice to save some green.